Should I Settle My Medical Malpractice Case with the Hospital or Doctor? Florida hospitals and medical professionals alike know that incidents of medical malpractice can be bad for business. If the details of a botched surgery or a serious misdiagnosis become public through news reports or court proceedings, both hospitals and doctors know that their reputations and future business can be negatively impacted. As a result, when an act of medical malpractice occurs and a patient is injured, the hospital, medical facility, and/or medical professional involved may approach the injured patient with a settlement offer. Simply speaking, a settlement offer is a promise by the hospital, doctor, or other at-fault party to pay for certain damages or otherwise compensate the injured patient in exchange for the patient’s promise not to pursue a legal action against the at-fault party or parties in court. Because the hospital’s or doctor’s reputation is on the line in medical malpractice cases, such settlement offers are usually made contingent on the hospital or doctor being able to deny committing any careless or negligent act. Settlement offers in medical malpractice cases may be attractive to injured patients because they offer certain and prompt payment of damages. 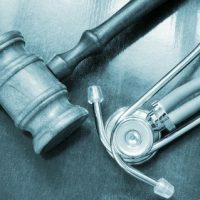 In other words, because of the nature of litigation it is never possible to predict with certainty whether a medical malpractice lawsuit will be successful and, if so, how much compensation the injured patient will receive. If a settlement offer is accepted, the patient will know with certainty the amount of monetary damages he or she will receive. Moreover, the patient will usually receive such damages more promptly than if the patient is required to file a lawsuit and prevails at trial. Settlement offers made by hospitals and doctors are not without their drawbacks, however. The amount of compensation offered typically is far less than the amount necessary to fully and completely compensate the injured patient for all economic and noneconomic injuries. In addition, it is rare for settlement offers to provide compensation for continuing care the patient may need throughout his or her lifetime (unless the necessity and cost of such care are both easily ascertainable). Further complicating a potential settlement offer is the fact that insurance provider(s) who paid benefits for medical care and treatment surrounding or arising from the medical malpractice incident have a legal right to reimbursement of benefits paid, known as a subrogation lien. Subrogation liens also arise with certain State and Federal benefits, including Medicare and Medicaid. Depending on the amount of a settlement offer and the circumstances of each case, a settlement may prevent the patient from receiving certain State and Federal benefits in the future, unless the settlement funds are legally protected. Accepting a Settlement Offer: A Good Idea or a Bad Idea? Only you can determine whether it is in your best interest to accept a settlement offer, but Marjorie Chalfant, RN, JD and her Florida medical malpractice team at The Nurse Attorney, P.A. are available to assist you in making this important decision. Before you accept a settlement offer, take a moment to review that offer with us. We can advise you of the specific benefits and drawbacks of the offer made to you. In some cases we may be able to help you secure an even more favorable settlement offer than the one initially extended to you. Call Marjorie Chalfant, RN, JD and her team at The Nurse Attorney, P.A. at (941) 254-2401 or (941) 210-4220 or contact The Nurse Attorney, P.A. through the firm’s website to discuss your medical injury with the Nurse-Attorney today.